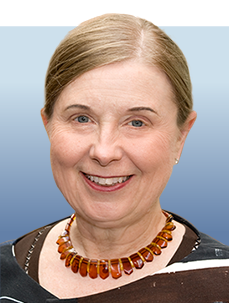 Frances A. Shepherd, MD, is the Scott Taylor Chair in Lung Cancer Research and a senior staff physician at the Princess Margaret Cancer Centre in Toronto, Canada, and a professor of Medicine at the University of Toronto. Developing and evaluating new and combined modality treatment strategies at the local, national, and international levels for patients with small cell and non–small cell lung cancers. Spearheads development of international phase III studies in collaboration with cooperative groups and institutions throughout North America and Europe. Helped conduct landmark international NCIC BR. 21 trial that confirmed for the first time a survival benefit with an EGFR inhibitor, erlotinib, in patients with non–small cell lung cancer. Chaired National Cancer Institute of Canada’s Clinical Trials Group Lung Cancer Site for 19 years, during which the program earned the highest rankings in 3 external reviews. Recognized with numerous awards, including the Order of Ontario in 2007, and the British Thoracic Oncology Group International Award for Contributions to Lung Cancer and a Queen Elizabeth II Diamond Jubilee medal in 2012.